The surveillance of any kind of telecommunication, of course, is our main field of business. Whether analogue, digital or cellular, you will find the corresponding monitoring device in our scope of supply and in this catalogue. 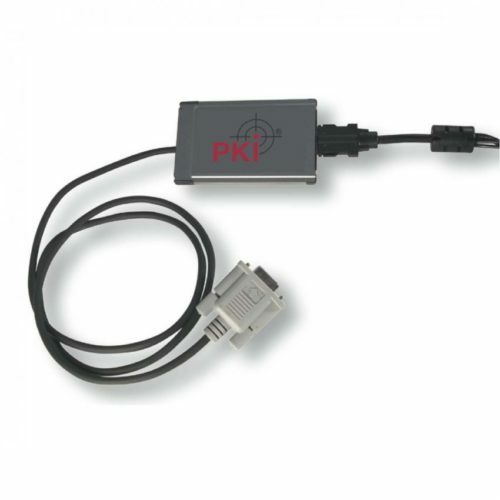 The PKI 1850 has been developed for the monitoring of digital and ISDN telephone lines. But the main advantage is that it can be used for stationary and mobile use. Without any problem each necessary data, like telephone number, date, time and other criteria can be stored on a laptop. Each call will be stored as a WAV-file. By means of the supplied software, the WAV-file can easily be administrated and can be opened to hear the content of each call plus indicating the relevant data. Each WAV-file can be stored in compressed or uncompressed version for further action. Storage: 16 KB per second/call, uncompressed WAV file.